South Cotabateños let us make Christmas, the season of giving more meaningful by extending help to our fellow Filipinos in the Visayas affected by super typhoon Yolanda. 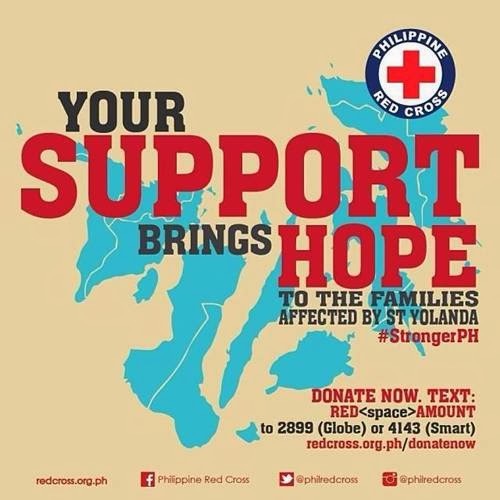 Let us donate food, bottled water, clothing, blankets and medicines or become a volunteer. 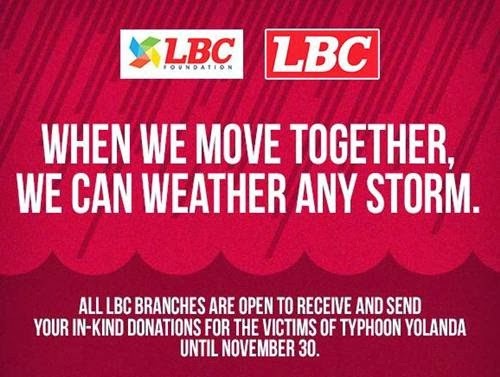 Here are different LGU's, companies and organizations in South Cotabato that are accepting donations in cash and in-kind for victims of typhoon Yolanda/ Haiyan. 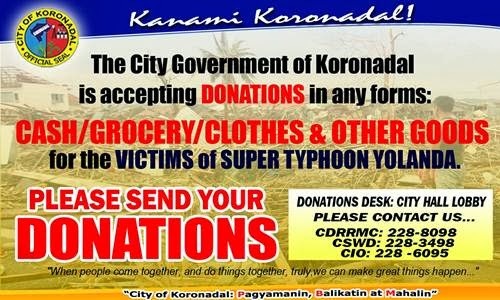 - Drop-off points are located at the Governor's Office inside the Provincial Capitol and at the Provincial Social Welfare and Development Office, Mabini Street, City of Koronadal. - Office is located at Mabini Street, City of Koronadal. You can also donate through text. - There are drop boxes inside the mall. 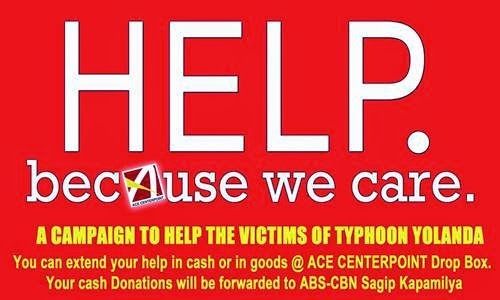 Cash donations will be forwarded to ABS-CBN Sagip Kapamilya. 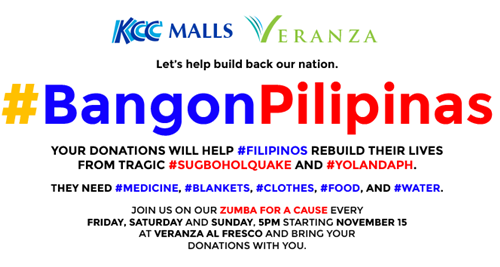 - aside from accepting relief goods for typhoon victims, KCC Malls and Veranza are also holding Zumba for a Cause every Friday, Saturday and Sunday starting November 15. - accepts cash and in-kind donations. Tulong na, Tabang na, Tayo na shirts are also sold for only P250, proceeds will go to Sagip Kapamilya. Office located at Villegas Subd., Purok Malakas, General Santos City. 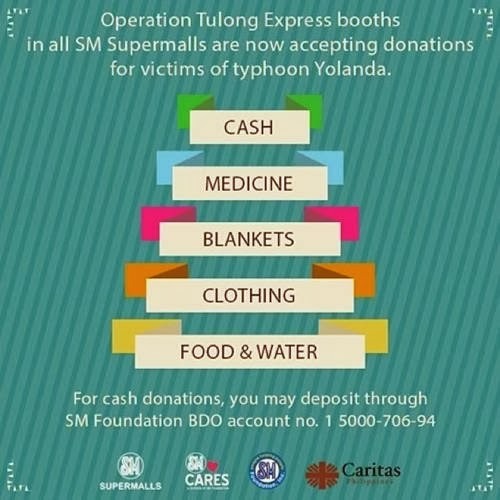 - Look for Operation Tulong Express booth inside SM City General Santos.